Eyebrows are such a powerful feature of the face. They can easily transform someone’s appearance. 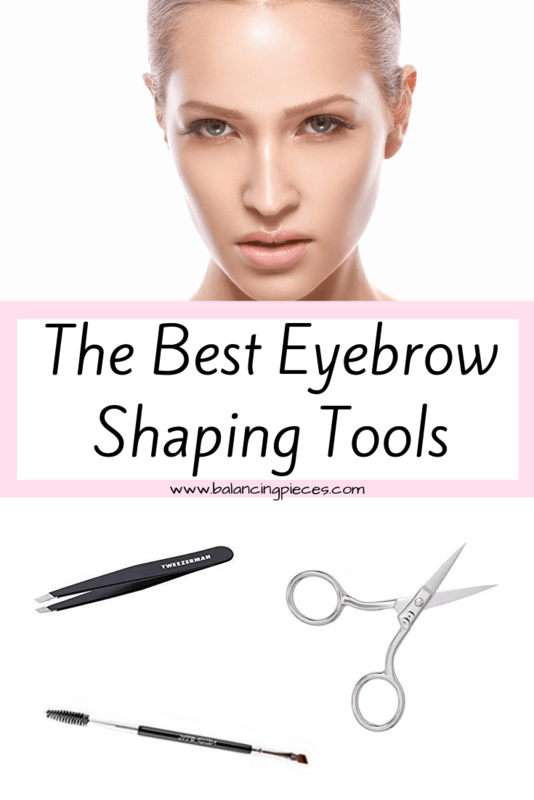 The best eyebrow shaping tools can assist to properly shape eyebrows. Eyebrows can easily accentuate and compliment your face. Below are the tried and true tools that I have used for many years. I have not gone to someone else for my eyebrows since high school and I am never going back. These tools make the job easy and painless. Tweezers: These stainless steel tweezers with a custom-slanted top and calibrated tension to pick up the smallest of brow hairs. It is used to define brows with professional precision. While some tweezers sheer the hair off, causing hair to grow back in more quickly, this one has the perfect tip and is calibrated to tweeze even the tiniest hairs right at the root. Eyebrow Spoolie: This is used to brush the hairs into place before, during and after you shape your brows. * Always remember to brush your brows up then over. Scissors: Brow Scissors cut cleanly every time, their small size is for precision trimming and their large finger loops are for extra control.